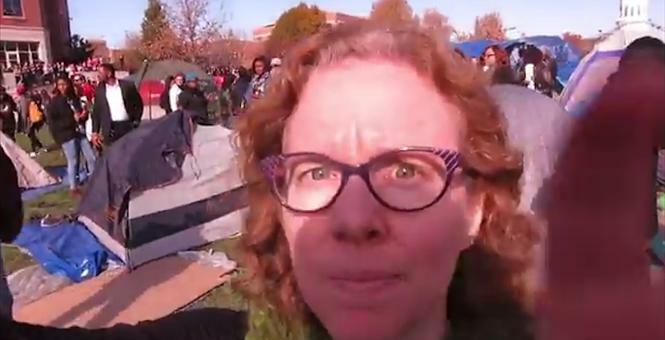 Rabid Ranter Prof NOT Dismissed For Castration Call! It seems to be that calling for sexual violence is these days acceptable in the USA, given how the disgusting exhortation by a far-left professor is not to result in disciplinary action. That demented battle-axe in the photo is of course just the latest in a series of undesirables allowed to obtain and hold onto academic posts no matter their hateful and intolerant outbursts. We have featured a few of them already! Dirty Knickers Joke? Middle-Aged Bat Goes Bat-Sh#t! …but this nasty nutjob is arguably the worst yet, so please read all about her. ← Brits! Don’t Let BBC Waste Your Cash On Freak Show!